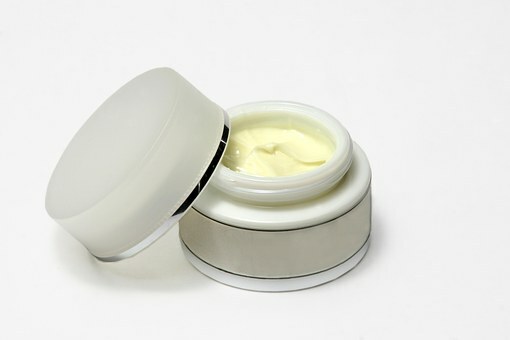 If someone were to ask you about your skincare regime, you’d probably start talking about creams and lotions. You’d talk about your nighttime routine, how you use face masks, what you think the pros and cons of K beauty are. There’d be a mention of serums, beneficial acids and how you use them, the luxurious feel of a moisturizer seeping into your skin. That’s skincare, after all. It’s topical lotions applied to your skin, face masks draped over your face. It begins and ends at your bathroom vanity, save for the occasional research trip online. There is a fundamental to good skin that many women miss out on, purely because it’s not mentioned very often. The food you eat and the liquids you drink make a huge difference to how your skin looks. In fact, it’s genuinely not pushing the bounds of supposition to suggest that if you’re not taking care of what goes into your body, what you put on top of it doesn’t matter. … so treat it like one. Let’s say you wanted to improve the health of your liver. The best way to do that is through diet changes, both additional (such as eating more beneficial foods such as tomatoes and avocado) and by subtracting (cutting down your alcohol intake). The liver is an organ and thus we recognize the things we consume impact it – so of course, the same is true for our skin. It therefore easily follows that improving the health of your skin is going to make you healthier in general, too. Should you choose to eat and drink better as an additional to your skincare routine, then all that goodness is going to improve your general health. As Pink Mama points out, managing your well-being doesn’t have to be difficult. So if it takes the idea of better skin and thus less need for lotions and potions to motivate you to make generally-beneficial changes, then all the better! There’s no need to be patronizing, so there’s not going to be a list of the things you shouldn’t do for the sake of your skin (and overall health). You know it already. You may have heeded that advice or you may have ignored it, but most of us have heard it a thousand times over. Instead, let’s look at what you can eat to give your skin health a boost – and all with a much lower price tag than the latest anti-aging fad serum! Avocadoes. Packed with healthy fats and with a high lipid content, your skin will love you for adding these to your diet. Sardines. They might not be the most tempting, but sardines pack a serious punch with omega 3 and 6 – all nutrients that your skin is craving. Nuts, especially cashew and brazil nuts. Nuts have a high calorie content, but they are also full of nutrients and fatty acids that your skin will love! Bone broth. Make it yourself from leftover roast dinners and you’ll increase your gelatin intake, improving skin health exponentially. Previous PostThese Home Upgrades Benefit You Both Now and In The Future!Next PostWhat’s Your Home Personality?